April Fool's Day is the perfect day to surprise a family member with a prank call or for pranks for your friends: anything goes! 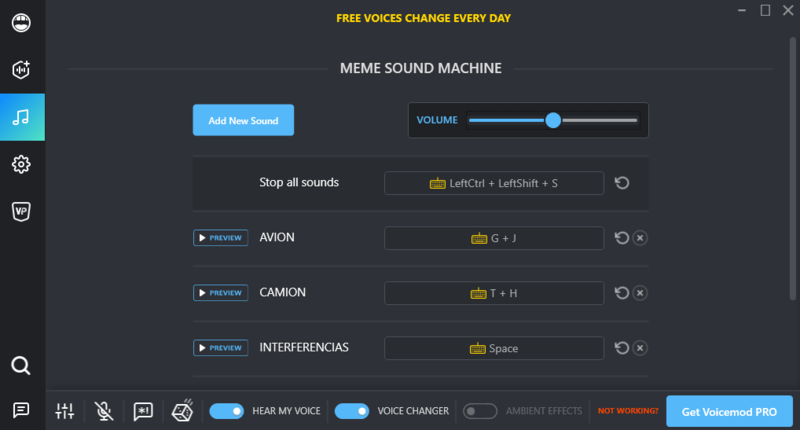 Voicemod is a voice modulator & transformer that allows you to change the audio of a mic in real time and with which you can fool anyone using a communication app (Discord, Facebook Messenger, WhatsApp, Skype, ...). All you have to do is download and install the voice changer for free, configure it, select the voice you want (woman, man, robot, baby, squirrel, terror, old man ...) and make phone jokes to whoever you want. If you have ideas to surprise someone, download the app for the best spoof, fun, scary, funny prank calls and jokes! 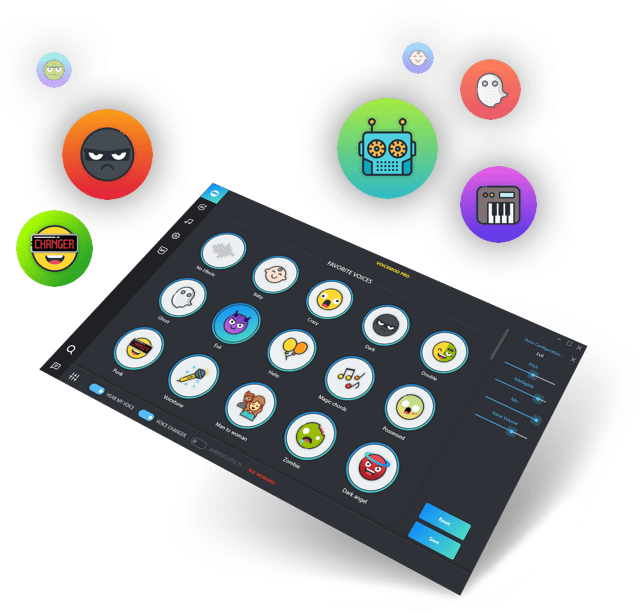 Voicemod is free software for Windows free-to-play, which can be connected to any communication application and with which you can prank your friends, generate fun content and surprise who you want. The program is compatible with WhatsApp, Discord, Skype or Facebook Messenger. Use the voice changer to sound like a man or a woman, like a character from a horror movie, a demon, a baby or a squirrel in real time. The possibilities offered by Voicemod are almost endless. Using the micro of your PC you can change your voice in real time and communicate with anyone you want. Add the sound effects you want to your voice and trick anyone you want using the communication app you want. The best spoof, fun, scary, own, funny prank calls and jokes! Download free, install and open Voicemod Voice Changer App to make a prank call o phone joke. Now you can modify your voice in real time and perform the best pranks, calls and spoof, fun, scary, funny phone jokes. Voicemod also includes Meme Sound Machine, a soundboard to make funny pranks & phone jokes. From this function you can load any funny sound and play it using the keyboard shortcut you want. This Funny Prank Call Soundboard allows you to play any type of Wav or MP3 file (farts, laughs, videogame characters or series sentences, belches ... WHAT YOU WANT!). The perfect Online Soundboard for spoof, fun, scary, funny phone jokes! 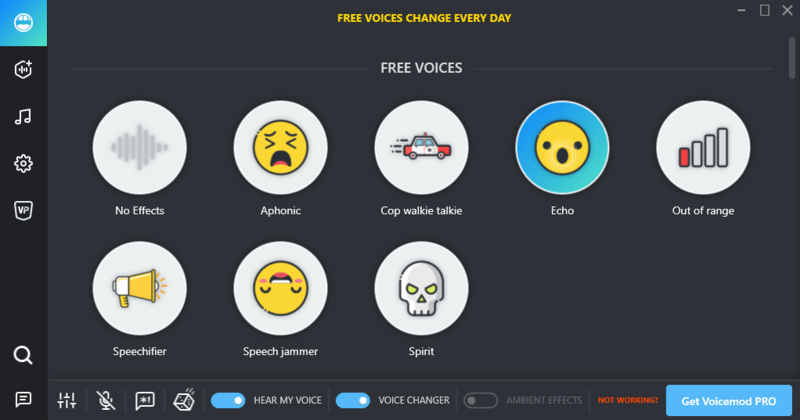 Get a FREE Voice Changer for Pranks!